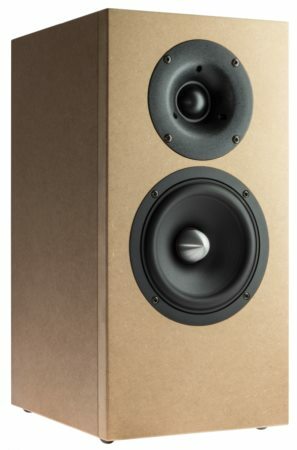 Cursa is a 2 way bassreflex bookshelf speaker with drivers of high quality from Wavecor. It comes with a first order crossover and with extremely well-behaved sound dispersion and other very good sonic properties. Cursa is developed by Daniel Gattig and Dennis Frank. The bass-reflex enclosure improves the low-frequency response of the loudspeaker system. In Cursa the Wavecor WF152CU14, with a stable die-cast alu basket, phase-plug and a linear frequency response is used. In the upper frequency range the Wavecor TW030WA12 with wide band frequency response, and low possible crossover frequency is used. The crossover consists of a first order high-pass filter (6 dB per octave slope) for the tweeter. The woofer is connected to a first order low-pass filter with a series-resonant-circuit to smooth the frequency response at 6000 Hz. Between 60 Hz and 20000 Hz, the frequency response of this loudspeaker is very linear. The decay spectrum is nearly perfect. At low volume, i.e. 85 dB at 1 m, the nonlinear distortions are lower than 0.2% above 300 Hz and doesn't exceed 1% at 95 dB at 1 m .
We warmly recommend this loudspeaker. The high-end kit is delivered with copper foil and baked varnish air core coil for minimizing microphonic effects. - The current flow through the coil creates a magnetic field which sets the reel of wire in motion. This motion induces a voltage in the coil which adds itself to the signal. The stiffer the reel of wire is, the less the signal will be altered. The capacitor for the tweeter is a ClarityCap MR 630 V.